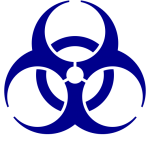 Search results for "False Flag"
Global Bio-Hazard Catastrophe: The False Flag Warning Has Just Been Announced — Toxic Crisis Imminent??
. . . “First and most importantly, I do not care if the ‘strange’ characters seen below are actors, fake, advertising something (a video game, movie, soccer game, television reality show, Halloween costumes, dance moves, latest fashion trends, beauty/make-up, salon nails, smile enhancement, evening’s wear, etc.). 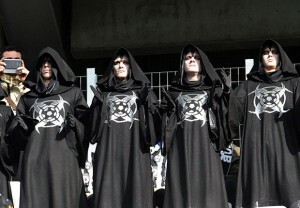 Who and what these guys are is irrelevant to the information I am giving you today.. . .
. . . “For those of you who do not know, these weird guys just showed up at a soccer game at the Allianz Arena on Saturday, October 26, 2013. There were eleven of them, and the symbols on the front of their black hooded robes have been seen elsewhere, mysteriously, across the world. Please check out links I have provided throughout this article.” . . . Read Complete Extensive Report with photos and videos. Image: Published with article at Before it’s News.